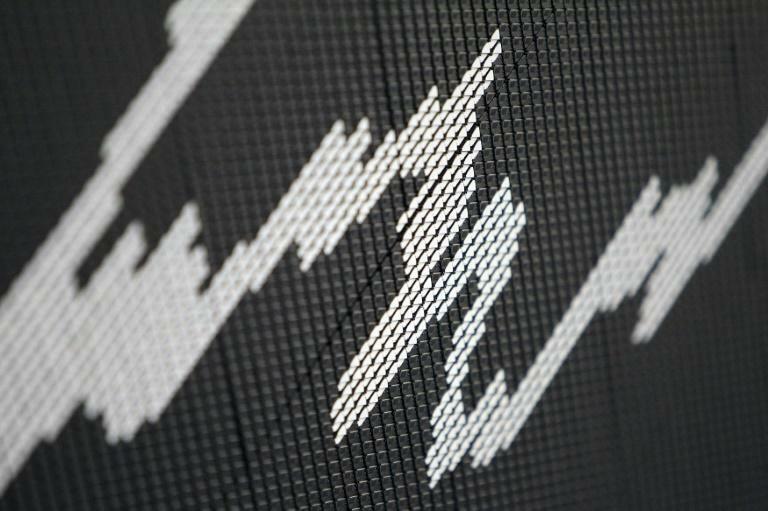 Asian markets mostly fell Tuesday as geopolitical risks pile up, from US tensions with Russia and Saudi Arabia, to trade issues and Italy's budget stand-off with the European Union. "Global financial markets continue to struggle to rally as various geopolitical concerns weigh on investor confidence," Nick Twidale, chief operating officer at Rakuten Securities Australia, said. He added that with regards to China, dealers "will be very keen to see if they can maintain the stellar run that they’ve experienced over the last couple of days," he said. "With the rest of the world looking much more pessimistic in the current environment there could be a firm correction on the cards." In early trade Shanghai slipped 0.9 percent, having jumped more than six percent since Thursday's close, while Hong Kong fell 1.5 percent. Tokyo plunged 2.2 percent by the break, Sydney and Singapore each fell 0.8 percent and Seoul dived almost two percent. Wellington and Taipei each shed more than one percent while Manila was also in negative territory. Asia was given a tepid lead from Wall Street, where traders are turning their attention to next month's midterm elections, which could turn control of Congress over to the Democrats. With the polls in mind, Trump has been on a tour of the country, ramping up his nationalistic rhetoric. On Monday he said he is ready to add to America's nuclear stockpiles after announcing he will pull the nation out of a decades-old agreement with Moscow. There is also growing unease about Italy's row with the EU over its purse-busting budget, which Brussels said breaks the bloc's financial rules. The populist government in Rome has refused to back down and cut its spending promises despite warnings about the country's economic outlook. The standoff comes as officials struggle to hammer out a Brexit agreement with a deadline for Britain to leave the EU in sight. The flight to safety sent the dollar rallying against most higher-yielding currencies, with South Korea's won down 0.6 percent, the Australian dollar off 0.5 percent and the Mexican peso 0.7 percent off. However, the yen, a go-to unit in times of uncertainty climbed against the greenback. "Risk aversion continues to permeate every pocket of the markets," said Stephen Innes, head of Asia-Pacific trade at OANDA.